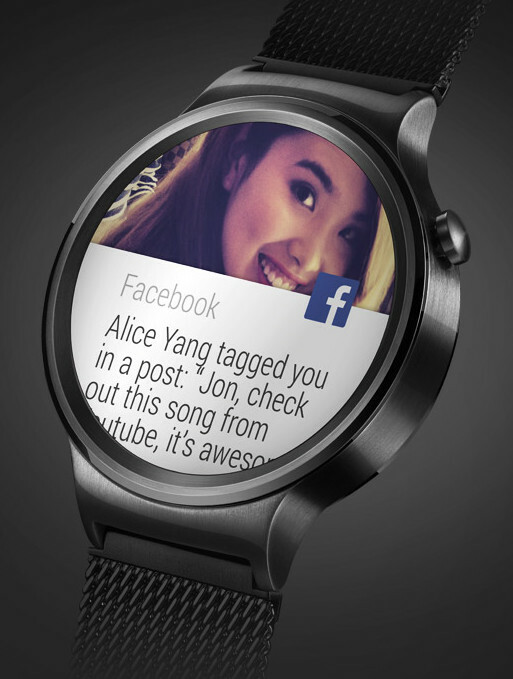 With the prospect of the Huawei Android Watch coming soon, to my mind the Smart watch phenomenon is hotting up. So much so that this is the very first model I’ve seen that makes even me slightly excited. 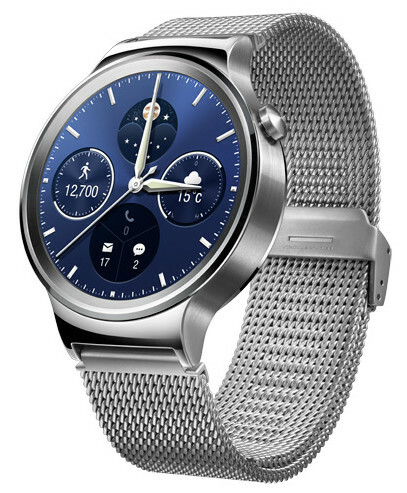 Huawei Smart watch with 40 different dials! 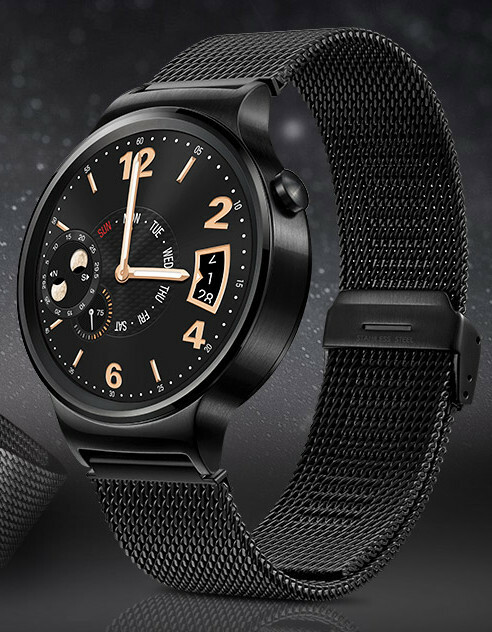 Not excessively excited you understand, but there is definitely a frisson of expectancy about this model and that’s a first time a “smart” watch has affected me at all. It actually has a lot of potential in my opinion and for starters it is a sensible size – maybe that’s also a first – just 42 mm diameter x 11.3 mm depth – Now that IS a surprise! Same watch – different clothes! It has a Sapphire crystal too and 40, yes 40 different optional virtual Watch dial layouts, which must suit just about anyone. A superb AMOLED display means fabulous clarity and all within a Stainless Steel case in Gold or Silver or Black finishes. A stainless steel mesh strap or leather strap choice. Plus it’s got sensors such as Gyroscope, Accelerometer, Barometer, Vibration alert and even a Microphone. It looks pretty Smart to me. In fact it looks VERY good. It has the Smart functions that all you aspiring “get fit” folks out there must have, such as Daily Health function, Single activity tracking, Heart Rate tracking, hookup to your phone for Instant Messaging and Call notifications and all that stuff, that’s basically beyond your average 70+ year old (I wonder who he’s talking about!). So this is just what you want isn’t it? Smart functions via Bluetooth – messaging, Texts etc. But importantly for me (of a certain age) this seems to be, virtually at least, a watch first with good traditional design, sensible size plus a one button functionality, so no silly complications and with all these different optional watch faces, I could wear a different one every day of the week. Just what a smart collector needs to reduce the collection! And above all it looks like a watch, feels like a watch, acts like a watch and can do as much or as little “Smarts” as you want and if you want to know boring things like the Day of the Week, the Date and the Time, then this might just be for you. The Smarter stuff you can gently ease yourself into, or maybe not in my case – but at least I’ll be right up there. Goodness I might end up fashionable, trendy, technically savvy and SMART too. Wow! Note – Unsure as to battery life other than to say it 300mAh which I’m told is good and lasts probably longer than others. And it comes with Charging Cradle, PC connections etc etc. Price wise? Not announced just yet, but I’d be surprised if it wasn’t $300 range? But that’s just a guess (hope) maybe, but it’s looking good. . . . . .